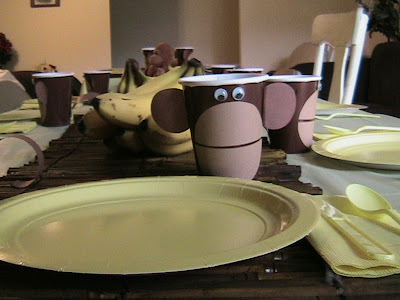 Here are some glimpses of a birthday party we threw for our son a few years ago. 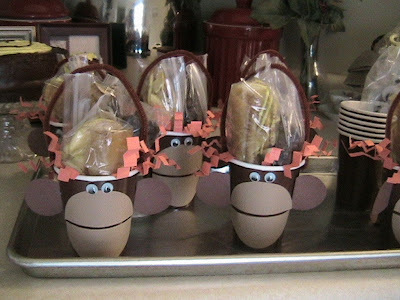 I got the idea for the monkey cups out of a Martha Stewart birthday party idea books. 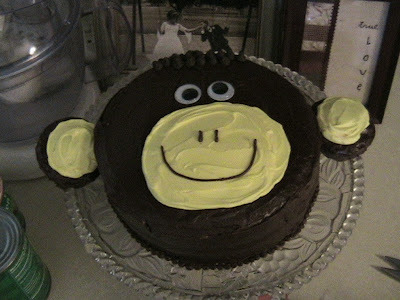 I stuffed them with homemade dried fruit and fruit leather and gave them away as party favors. 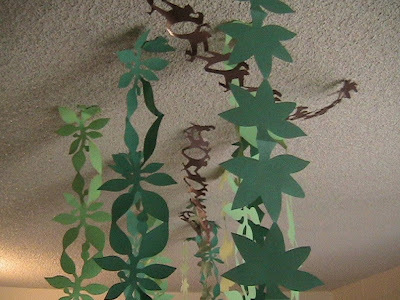 How did you make the leaves hanging from the ceiling? Is there a patterns for them somewhere? I didn't use a pattern, I just folded paper up like you do to make a chain of stars or people and cut out leave shapes instead. You could even trace real leaves as your pattern.